New homes in the small enclave of Dunlora Park. The popular Willow 1st floor master bedroom plan.Energy efficient construction delivered by VA’s EarthCraft Builder of the Year 2017. 2 x 6 Construction. Wide plank hardwood flooring, porcelain tile flooring, tile in owner’s shower, granite countertops, painted maple cabinetry, wooden shelving, oak stairs,beautiful trim detail, and so much more. Open floorplan design with stepless garage and master bath shower entries, wider doorways and staircases are just a few of the incorporated Universal Design features within the home . Yard maintenance part of HOA. Only minutes to downtown Charlottesville, UVA and the Rivanna River. Similar photos. Please, send me more information on this property: MLS# 582515 – $567,345 – 4046 Varick St, Charlottesville, VA 22901. 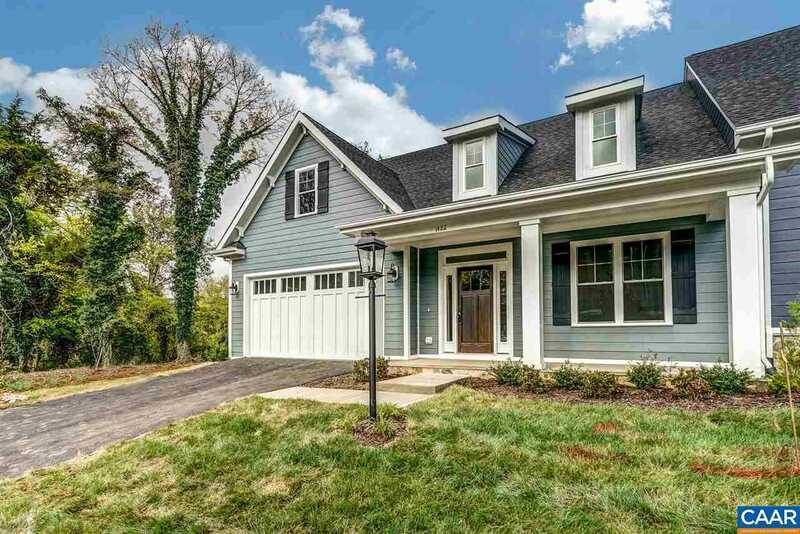 I would like to schedule a private showing for this property: MLS# 582515 – $567,345 – 4046 Varick St, Charlottesville, VA 22901.